Create added sitting area and storage space with this brand new storage bench from SONGMICS. 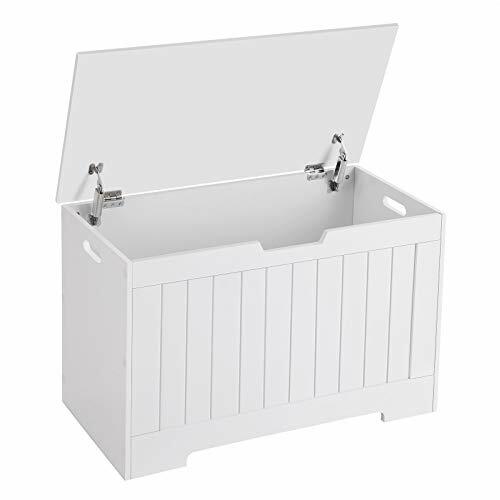 Featuring a large inner size, 29.9"L x 15.8"W x 18.9"H (76 x 40 x 48cm), this storage bench will keep all your scattered stuff organized in one place. 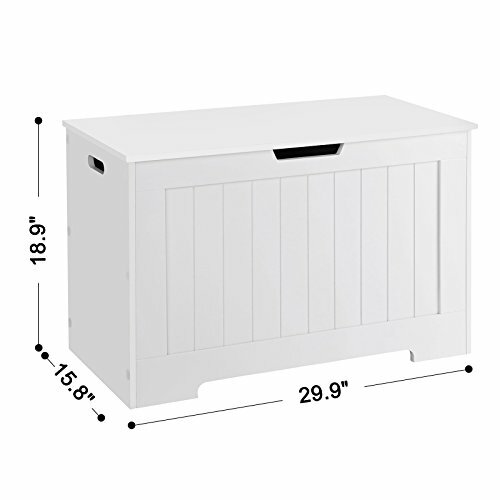 Sturdy MDF structure holds up to 397lbs, works perfectly as a shoe bench or bed stool. 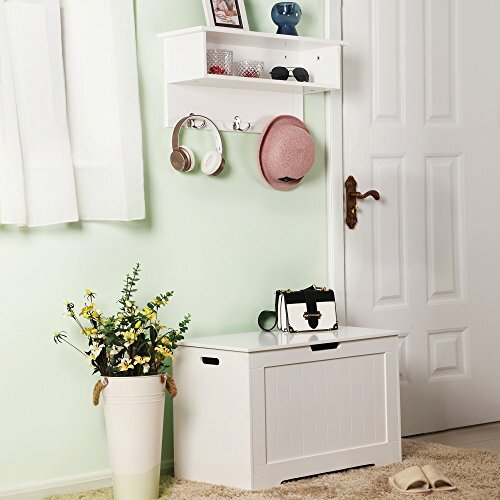 Simple white finish effortlessly coordinates with your existing home décor and is suitable for entryways, bedrooms, playrooms, mudrooms, etc. 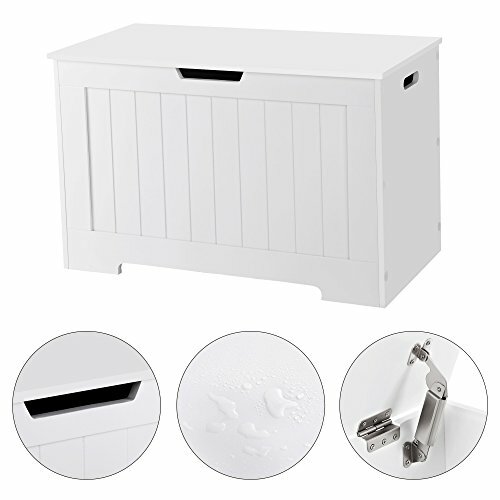 Specially designed safety hinge prevents abrupt closure, protecting you and your family from getting pinched fingers. - Please assemble this product on a soft surface to prevent scratches. 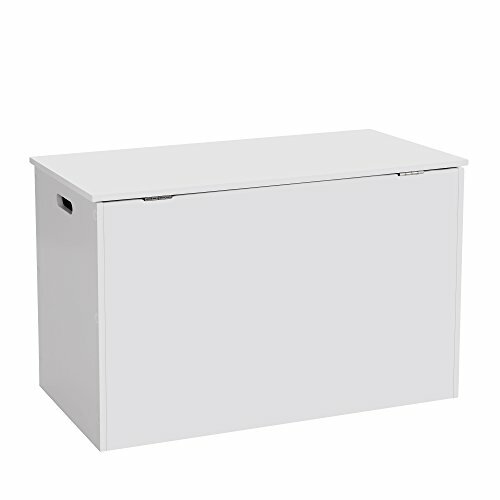 - Please open and close the lid slowly to avoid pinching hands. 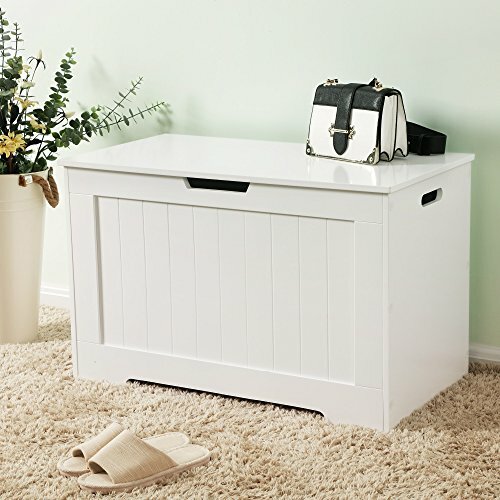 MATCHES ALL HOME DÉCOR: Featuring minimalist design and classic white look, this storage bench is a perfect add-on to any room; works great as a shoe bench, toy box, etc.